The American Academy of Pediatric Dentistry (AAPD) recommends children have their first dental visit around the time of their first birthday. Dr. Michelle Green, provides care for your children and offers the following services in a safe and welcoming environment. One of the most important parts of beginning early dental visits, is to get the child used to the dental environment and ready for the next step—cleanings and X-rays. The first few visits are “happy visits” where the child sits on the parent's lap and we just “look and see.” The child is able to see and touch the basic tools and then choose a toothbrush to take home. Parents can ask questions about oral hygiene, thumb sucking, diet, fluoride, and any other dental questions they may have. 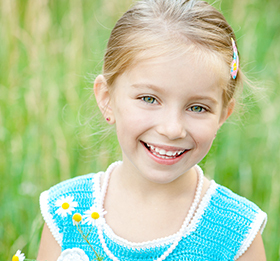 We look forward to helping your child start a lifetime of great oral health!